Seasonal May through September. 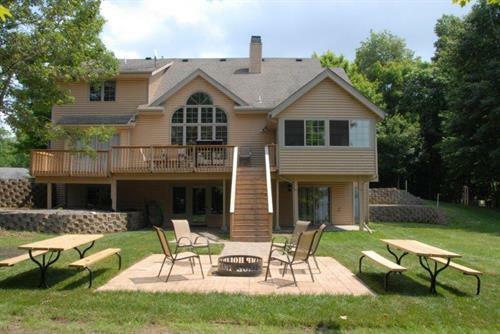 Our Reunion, Northwoods and Eagle Trail Homes are open year around. 3.5 miles W of Garrison, turn N on County 10, go 1/4 to Round Lake Road and go 1 mile. 16 miles E of Brainerd, Turn left on Co Rd 10, go 1/4 mile to Round Lake Road, go 1 mile. Welcome to the Mille Lacs/Cuyuna/Brainerd Lakes Area! 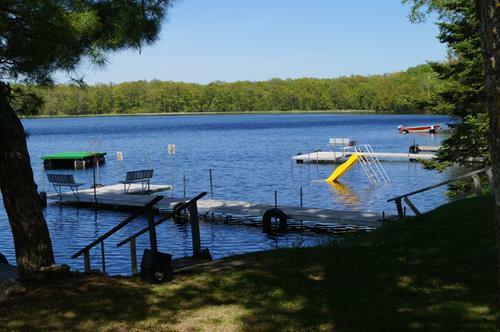 Camp Holiday is nestled on the shores of Turtle Lake, offering 12 Cabins, a Seven Bedroom Reunion Home, a Private Vacation Home on 30 acres and 40 Campsites. Here you'll be able to get away from the hustle and bustle of everyday life. 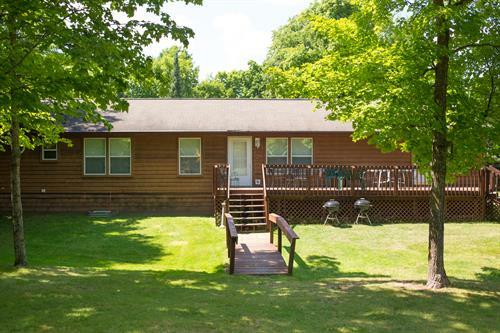 Enjoy fishing from two lakes or relax by a campfire and listen to the sounds of the loons. Two swimming beaches offering water slides, bongo raft, and a sandy beach. Both beaches are roped off for your safety. 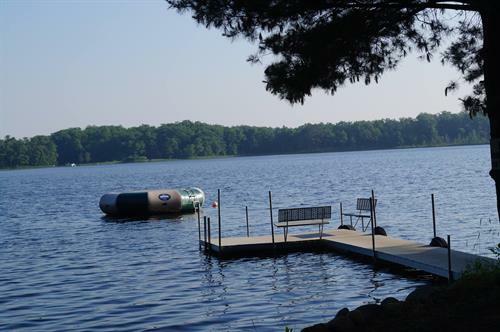 Or get on the lake with one of our rental items. 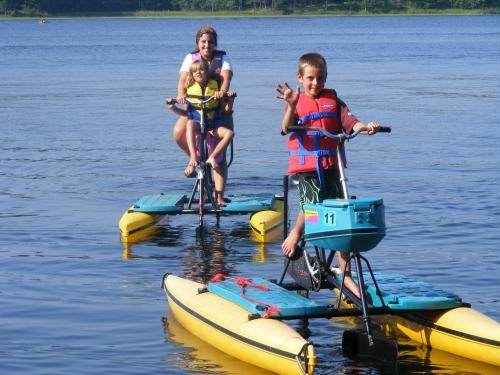 We have paddleboats, paddle boards, kayaks, hydro bikes, canoes, boat/motors, and pontoons. 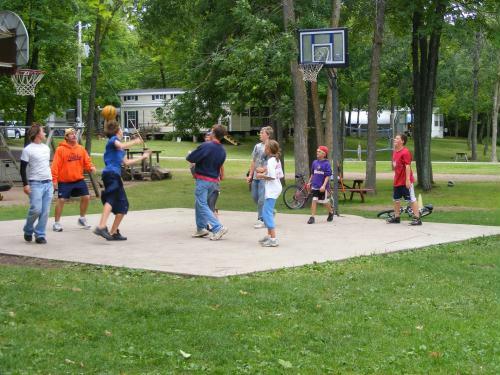 All cabins have HD DirecTV and WiFi is available in the cabins, campsites and throughout the resort. Turtle Lake is a clear spring-fed lake that is great for swimming, or fishing the many species of fish. Best known for bass and northern, plus there are many varieties of pan fish from which your youngster can produce his or her first catch. Turtle Lake is also accessible to Partridge Lake providing sportsmen or vacationers with plenty of action.